We are officially halfway through this series (at least I think it’s only supposed to be 13 or so episodes). When will the real Tian He be making his appearance back in Taiwan? I’m curious how we get to the events showcased at the very beginning of the first episode where Tian He tries to commit suicide and Tai tries to stop him. Tai is out in the town (he’s dressing more like Tian He now—probably to throw Wenzi [aka Atsuko] off his trail) and thinking how odd it is that he hasn’t seen Wenzi when the shop owner tells him about a Japanese girl who is going around asking everyone about him. Tai knew that Wenzi would not be thrown off his scent so easily. Thankfully, everyone just thinks that she must be a fan of the super handsome and smart Tian He. Tian He asks what the people told Wenzi and the village head assures Tai that they only said good things. Then a motorcycle gang drives by and the village head complains of those trouble making youths. And wouldn’t you know these troublemaking bikers are led by none other than Ah Xiang [Song Xin Ni] the guy who picked on Lao Tu when he tried fishing at the creek the first time and Ah Lun [Ah Ben] our young thief who is related to Ah Pan. It’s funny as it looks like Ah Lun is the head, but at the same time, he sees himself as being better than the rest as he doesn’t need money like the others. 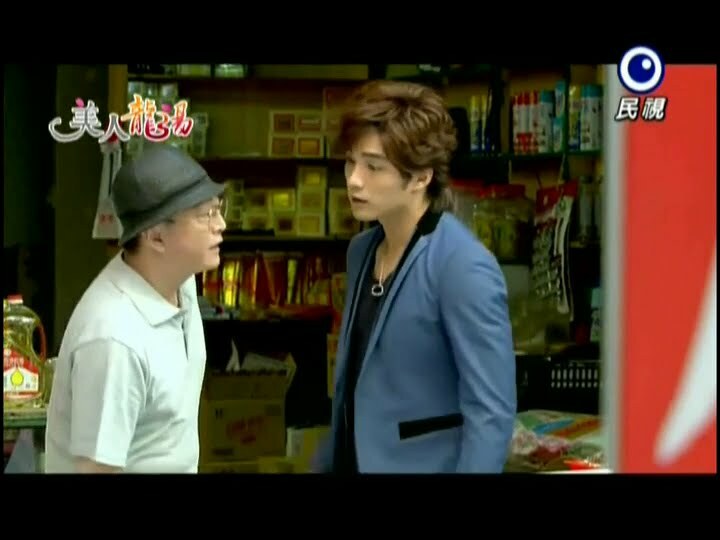 While Ah Xiang is complaining that they don’t have any means of making money in that town, Tai walks by. Ah Xiang and Ah Lun are both surprised that the other knows Tai. They decide to get their revenge on Tai since they outnumber him. The boys gather around Tai, but both Ah Xiang and Ah Lun seem to be frightened of the other man. They act like they aren’t and talk big, but one look from Tai has them backing off a bit. LOL. Tai then immediately starts scolding them for being young and not learning anything and not obeying their parents. Just as the bikers are about to attack Tai, Ren Mei runs up and puts herself in between. She scolds the group for bullying a single person and then scolds Tai saying that he has only just recovered so he cannot fight. Hearing this, Tai recalls that he is not himself, but his brother. There is no way Tian He would fight with those delinquents. This earns Tai some teasing. 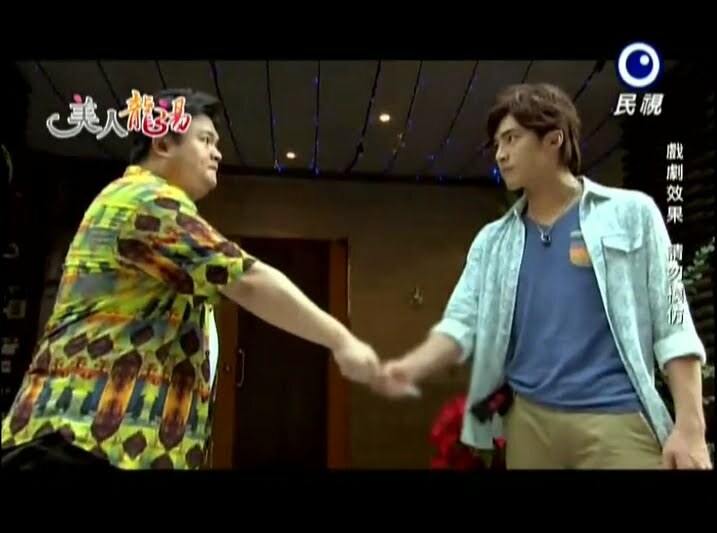 Ren Mei recognizes Ah Lun who is also surprised to see how much the fatty has slimmed down. 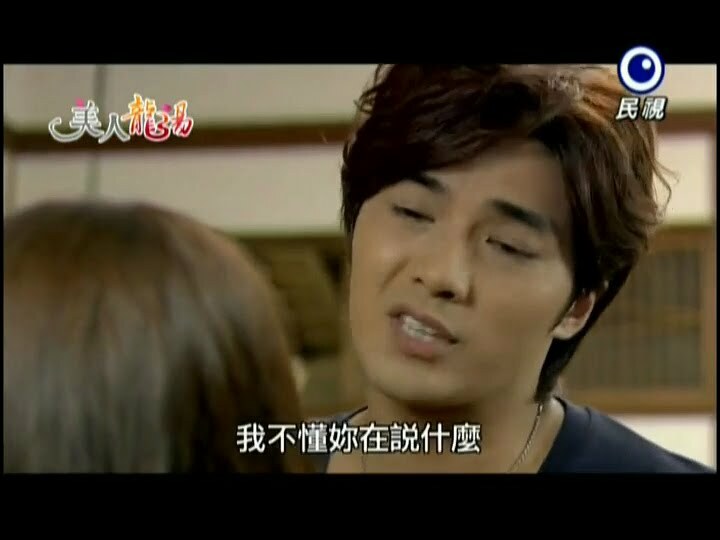 Ah Xiang threatens to hit Ren Mei, too, if she doesn’t leave and stop interfering. This gets Tai’s anger up another notch. He pushes Ren Mei behind him, but she will not let him protect her. She pushes Tai back behind her as she won’t let them hurt him. Awwww. However, the gang surrounds them and Tai covers Ren Mei’s body with his own to block her from their blows. Meanwhile Ren Hu is with Wenzi. 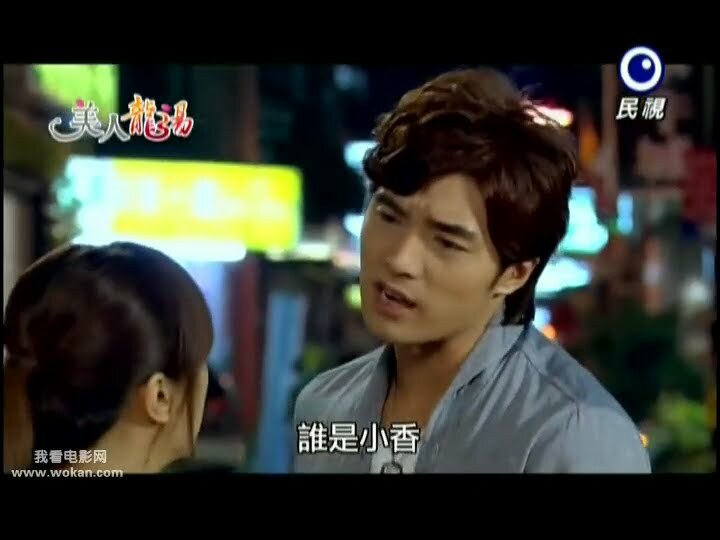 He asks what he can do for her and is not happy to hear her request that he find Long Tian He. He angrily asks why she’s looking and Wenzi says that since Tian He is his rival, then Ren Hu should know him better than anyone else. She will not answer the why until Ren Hu answers her request. 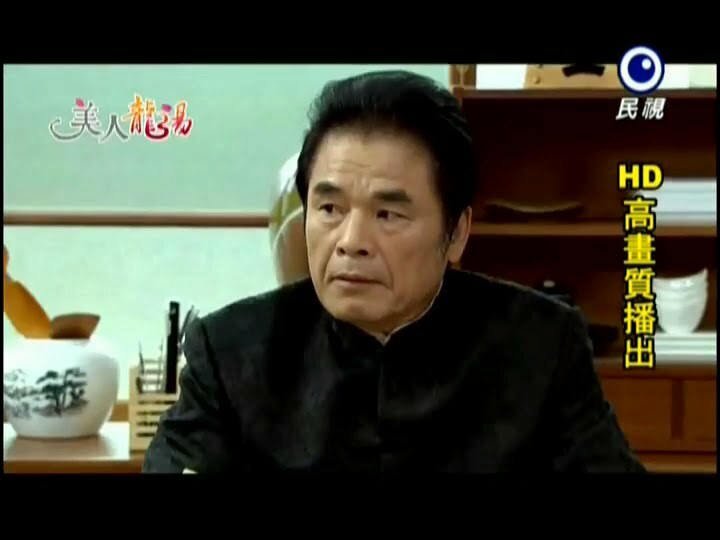 Ren Hu says that in his eyes, Tian He is rubbish, a sick cat, a person who doesn’t care of someone is alive or dead, a person who lacks pity. And the funny thing is, while he’s saying this, we see scenes of Tai (acting as Tian He) doing his best to protect Ren Mei still from the bikers’ blows. They are saved by cops coming, chasing the bikers off. Ren Mei asks the battered Tai if he is all right. Wenzi gets annoyed by Ren Hu’s talk of Tian He. Ren Hu says that Tian He is not a person who deserves to be looked for. He then warns Wenzi away from Tian He. Wenzi, of course, doesn’t wish to listen to him and won’t explain why she’s interested in Tian He. Ren Hu grabs her and demands to know their relationship, but Wenzi replies that is none of his business. She jerks her arm out of his grasp, knocking over and breaking glasses. Her arm gets cut from this and Ren Hu’s angry face softens a bit. She’s injured—he’ll take her to the hospital. Are you kidding me? It was a tiny cut caused by the broken glass and he wishes to take her to the hospital? Overreaction to the max. Wenzi says there is no need and walks out. Tai is limping home followed by Ren Mei who keeps asking him how he is and she offers to take a look at his wound and patch him up. Tai then turns on her and angrily scolds her for jumping into such a dangerous situation—she could have been hurt. Ren Mei yells back wondering why he is so mad when she was only trying to help him. Tai tells her to save her good intentions next time as he doesn’t need them. Ren Mei then demands to know why he cares if she interferes. Because he doesn’t want to see her hurt, crying and grieving alone like always. Doesn’t she know that he’s worried about? This shocks Ren Mei. Tai turns back around and keeps hobbling his way back home with Ren Mei following a step behind. When they get back to the Long house, Ren Mei opens the door for the injured Tai. 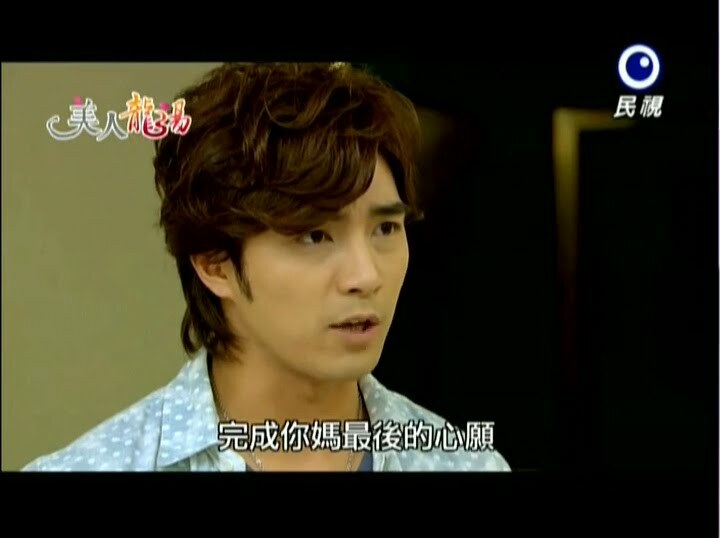 He tells Ren Mei not to let anyone know about what happened earlier as he doesn’t want them to worry about him. Ren Mei asks once more if he’s all right. Tai replies that he is fine. 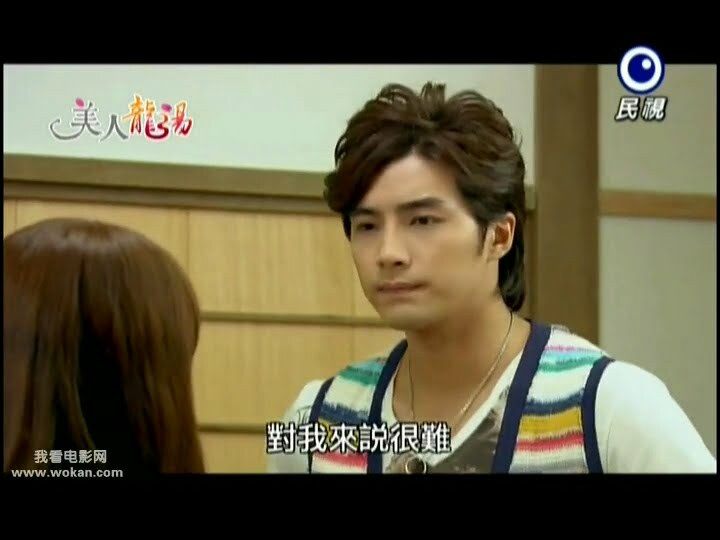 Ren Mei then asks him to clarify about what he meant earlier when he said he worries about her. Tai turns and lies. He says it is only because she is under his care as a worker. How would he face her grandmother if anything happened to her? Soooo annoying. But we all know that in dramas like this, confessions always take forever (sometimes the length of an entire series). Tai goes to his room and painstakingly takes off his shirt. He’s covered in bruises all over his back and chest from the punches and kicks. 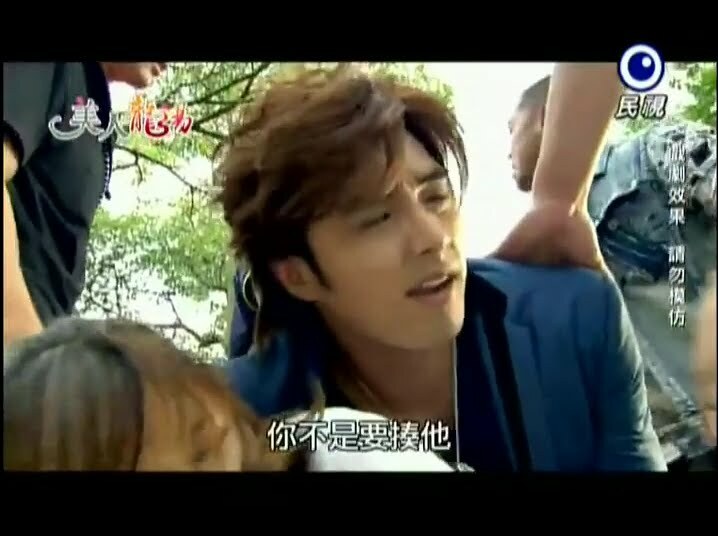 As he tries to take care of his wounds, he recalls his angry words earlier with Ren Mei. He silently scolds himself for saying such things to her. Looks like he’s unwilling to admit he likes her even to himself. A knock sounds on his door and Tai goes to open it. There stands Ren Mei who gets a shock at seeing him half naked. She gets an even greater shock when she notices all the bruises which are starting to look worse. So he was really injured! She then hands over a jar of her granny’s ointment. It’s very effective and can’t be bought outside. Ren Mei only has that one jar. Tai tells her to save it for herself, but Ren Mei insists that he take it as repayment. Tai does take it and thanks her. 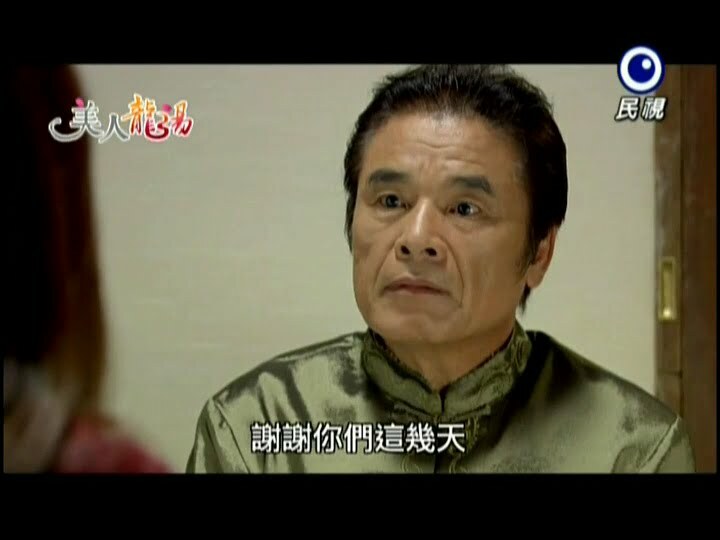 Ren Mei then asks if he needs help applying the medicine as she’s afraid he can’t reach all the wounds. She covers her eyes and promises not to look. Tai sends her away and then again wonders why he’s acting like he is. Wenzi returns to the Long household and wonders if she should stay or give up and go back to Japan. She then notices that the door to Tian He’s room is open and decides to go in. As she does, Tai peeks around the corner. Looks like he’s setting her up. Does that mean he took out all proof of himself? Wenzi notices the clothes that are completely opposite of Ryuta’s tastes and she also sees all the academic awards Tian He received. Tai then knocks on the door, startling Wenzi. She apologizes and Tai immediately scolds her for her rudeness and treats her very rudely and coldly for prying into his personal life. Wenzi apologizes once more and says she will be leaving for Japan tomorrow. Tai replies that he is not trying to chase her out. Wenzi replies that she knows and then leaves. Once she’s gone, Tai lets out the breath that he’d been holding. We then flashback to earlier where he quickly set up the room to throw Wenzi off his track. He also apologizes to her once more for acting this way, but it’s for her own good. Wenzi is packing her bags when Long knocks. He comes in and says that he has heard she is leaving. Long then hands over a list of shops with their famous snacks and tells her to go and try some if she has time. If not, when she comes back, then she can. Wenzi thanks him and Long leaves. She puts the map with the local delicacies in her suitcase, but then grabs it out and looks at it more closely recalling the letter for Tai’s mother that was on Kenji’s desk. Wenzi hurries and goes to Tai’s room. She holds the envelope and says it was really close—she almost believed it. Tai still feigns ignorance, but Wenzi holds up the handwritten map and the letter. They both have the same handwriting. Tai then recalls his father’s words about writing to his mother, but Tai did not believe it since he had never seen any proof. Tai tries to grab the letter, but Wenzi hides it behind her back. Tai demands the letter, but Wenzi won’t give it up. She then wonders why Long Tai would pretend to be Long Tian He. She goes to rip up the letter but he calls her by her name and tells her that’s enough. Wenzi then hugs him. Meanwhile, Ren Mei is pacing in her room wondering how Tai is doing. She herself also wonders why she cares so much for Tian He. But then she explains it away as being natural since he protected her and got injured for her. She then sits down on her bed and wonders if she should care for him or not. She then takes out a coin and decides it will decide for her. Heads she doesn’t go and tails she does. The coin spins and lands tails up. Tai reads the letter his father wrote his mother. All these years his father really did look for him and his mother. He really doesn’t understand why his mom didn’t let Long find them. He then glances over and notices Wenzi staring at him. Why? She wants to know what he will do now. What does she mean? Wenzi says that treating him as someone else would be hard and weird. Tai says that it is still weird for even him, but he has his reasons. Wenzi agrees to support him. When Ren Mei goes to Tai’s room she overhears him and Wenzi talking. Why would Wenzi be at Tian He’s room? Tai asks if Wenzi treated her cut yet and Wenzi says there is no need. Tai won’t let her go and gives her Ren Mei’s ointment to apply. This makes Ren Mei look around the corner and she seems both shocked and angry as she sees Tai rub the medicine she gave him on Wenzi’s hands. Wenzi thanks him in Japanese and Tai responds in Japanese. Wenzi leaves and Tai notices Ren Mei hiding around the corner. He goes up and asks what she’s doing there. Ren Mei jumps in surprise, but quickly says she was only passing by. She then demands to know what Wenzi was doing at his room so late at night. Tai responds by saying it’s his fate that women wish to be his friends. Ren Mei calls him a player and scolds him for taking advantage of Wenzi who is there looking for her friend. Tai quickly replies that isn’t the case. Ren Mei doesn’t believe this and asks if he’s okay with being a substitute. He’s okay with it if Wenzi is. This angers Ren Mei even more. He calls her jealous and says that his friends have nothing to do with her. She denies being jealous and tells him that what she does and who she sees. Tai says that he’s not jealous like her and Ren Mei huffs away after giving him and Wenzi her angry blessings. Ren Mei stands outside grasping her chest and wondering why she hurts as much as when her grandmother wouldn’t let her eat what she wanted and showed favoritism to Ren Hu. Why does it hurt so much? The next morning, Ren Mei scoots down one chair and Tai follows her. This catches everyone else’s attention. What is going on now? We get this silent conversation between adults. Lao Tu says they must have had a fight and Long wonders about what, but they don’t know. Enter Wenzi who now wishes to eat with them as its boring eating alone. The others greet her warmly and tell her to sit down. Wouldn’t you know she chooses to sit between Tian He and Ren Mei. Wenzi notices their dishes are different. Ah Pan says they aren’t, she just made Wenzi more since she’s leaving after eating breakfast. WEnzi then drops the bomb that she’s not leaving. This shocks everyone and enrages Tai. Wenzi says she will pay in advance again and is not certain how long she will be staying. Of course this makes everyone happy except for Tai and Ren Mei. Wenzi then says that there is no need to treat her differently and tells everyone that they can call her by her first name as she doesn’t like to be addressed as Miss. Ren Mei asks about Wenzi’s progress in finding her friend. Wenzi says that she has already found him. This shocks Tai and worries him—will Wenzi accidentally spill the beans? Ren Mei asks where the friend is and Wenzi quickly replies that she has learned he has already returned to Japan. Tai loosens up at this, but you know the danger is far from over. Truthfully, if Wenzi wanted to help him, she’d be better off returning to Japan as this way she is more likely to blow his cover than save it. Wenzi then thanks Long for giving her the guidebook the night before. This shocks everyone as she is addressing Long rather intimately. She even asks him to take her sightseeing later! To add to the shock, Wenzi says there is too much food and starts forking some over on Tai’s plate to help her finish it. This draws everyone’s attention again and Tai takes up his bowl and starts distributing the food to everyone else as well. Later, Tai pulls her aside and scolds her for being too nice to him when they aren’t supposed to have known each other along time. Wenzi (even though she remembers to call him Tian He) says that since she knows him so well, it’s hard to pretend otherwise. Regardless, she needs to be more reserved otherwise others will find out. Fine. Wenzi agrees to act more carefully in public as long as he is just Ryuta when they are alone. She then playfully starts hitting him when Ren Mei enters the scene. Tai’s keen ears pick up on this and he quickly puts his finger up to his lips and tells her to be quiet. 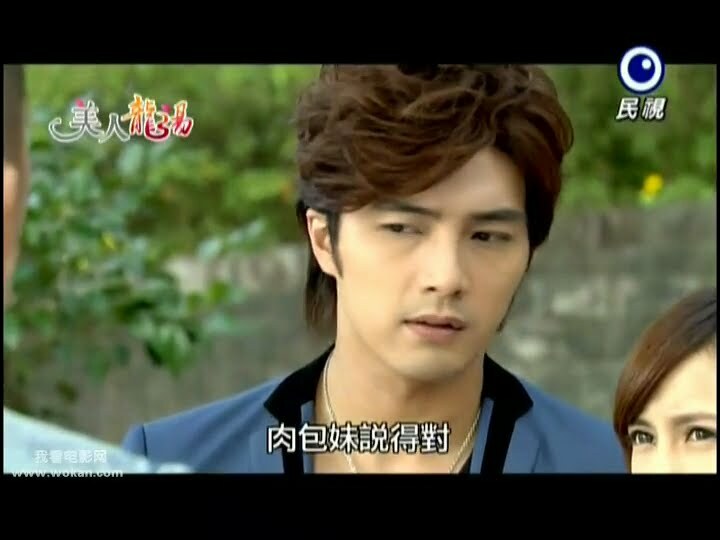 He looks behind him and Ren Mei quickly rushes away. In the kitchen, Ren Mei is dazed and wondering just what is going on. What has happened to make them friends so fast? Are they really dating? Lao Tu and Ah Pan discuss this as well. They, of course, think this is love at first sight. They also think the two are highly compatible and are wondering if things keep progressing if they will be invited to a wedding banquet. Ren Mei drops the bowl she was washing and excuses herself to go hand out leaflets. Lao Tu and Ah Pan wonder if Ren Mei may be jealous as Tian He treated her rather well in the past to the point where Ah Pan thought there was a chance that Tian He might like Ren Mei. Lao Tu says it’s impossible, but Ah Pan doesn’t think so. Lao Tu says that because Ren Mei is from the Zhao family, there is no way she and Tian He could be together. Lao Tu is also worried about Tian He and Wenzi since the Long family had a tragedy last time thanks to Long loving a Japanese woman. Lao Tu doesn’t want history repeating itself. Sheesh. I really would like more of an explanation between the animosity between the Zhaos and Longs. Ren Mei is all depressed and walking down the street having an argument with herself over her feelings for Tian He. She then overhears the village head and others talking about a shop going under. Ren Mei recalls that shop holds some very happy memories with her family. She doesn’t want the shop to be gone and offers her help to find Xiao Xiang because if she returns, the shop might be able to stay open. That night Tai looks around the house for Ren Mei with no success. Ah Pan asks what he’s looking for and he lies and says he was only looking for a broom to clean trash. Tai then says this is Ren Mei’s job. Ah Pan says that the diligent Ren Mei left early in the morning to pass out fliers. Then why isn’t she back yet? 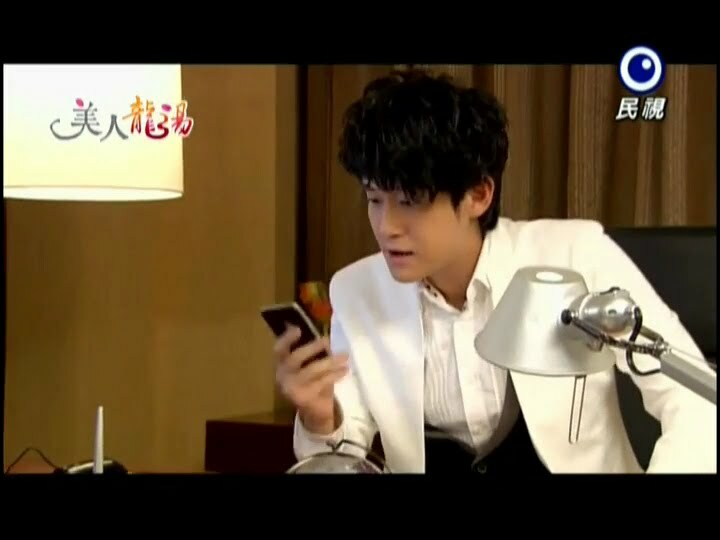 Ah Pan then recalls that Ren Mei called and said she’s out looking for a friend. This makes Tai wonder who she could be talking about since Ren Mei doesn’t have friends. 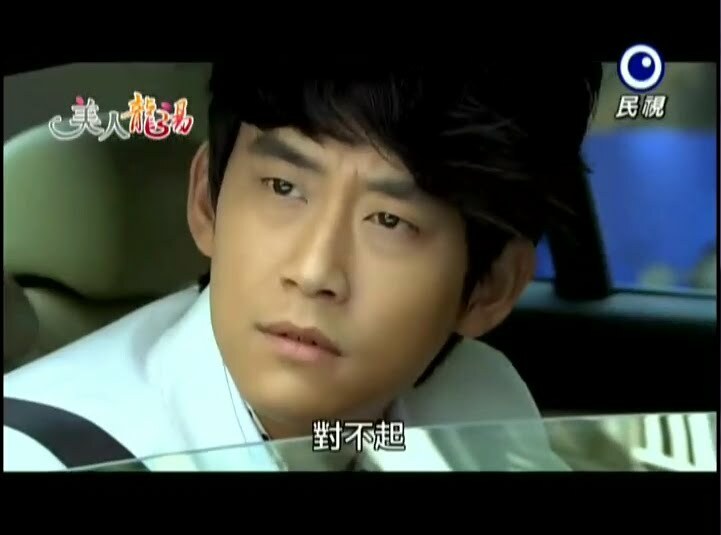 Ah Pan then comes close and asks why he’s looking for Ren Mei. Tai says he’s not looking for her at all. What a lie. Meanwhile, our innocent little Ren Mei is in the risqué part of town (bars and host clubs) armed with a photo of Xiao Xiang. She cautiously goes from shop to shop looking for her. One of the hostesses tells her that this is not a place for a little girl like herself. The hostess goes to head back inside when Ren Mei asks if she knows the girl in the photograph. The woman recognizes her as “Haru” and says that she is in the establishment next door. Ren Mei happily thanks her and heads next door where two men in black guard the door. Ren Mei says she is looking or someone and they reply that this is their business and not a place for finding people. At this time, an angry Haru comes out. Ren Mei looks at the picture and up at the older woman. It’s the same person! As Haru goes to head back inside, Ren Mei calls her Xiao Xiang and Haru turns around and tells the men to take the trash out of there. Ouch. Back at the hot spring village, Wenzi is looking around Tian He’s room and exclaiming over how different the twin brothers are. Tai isn’t listening as he keeps pacing back and forth and keeping an eye out for the missing Ren Mei. He’s wondering why his meat bun girl is not back yet when it is so late. Wenzi asks when his brother will be back, but Tai ignores her. Wenzi finally manages to get his attention and asks what he’s thinking about. Tai says he’s only tired and then tries to send Wenzi back. Before she leaves she asks for praise for she is smart and clever. She takes Tai’s hand and puts it on top of her head. “Atsuko is a good girl.” Tai laughs at this. Wenzi wishes him a goodnight and leaves. Atsuko heads back to her room where Long is waiting for her. She asks him what he’s doing there so late. Looks like he discovered she knows his younger son. He thanks Wenzi and Kenji for looking after Tai and Michiko. Wenzi says that it was really Michiko who looked after her and her father. Long then asks if Michiko was happy these past ten years. Wenzi replies that Michiko was always smiling and the younger girl believes that Michiko couldn’t love someone as deeply as she loved Tai without loving his father deeply. Tai knocks on Ren Mei’s door and is unhappy that there is no answer. He goes outside to the cherry tree and asks his mom if this was how she felt whenever he came home later than he was supposed to. He then recalls his fight with Ren Mei. Yes, he was too fierce then. He shouldn’t have acted like that. 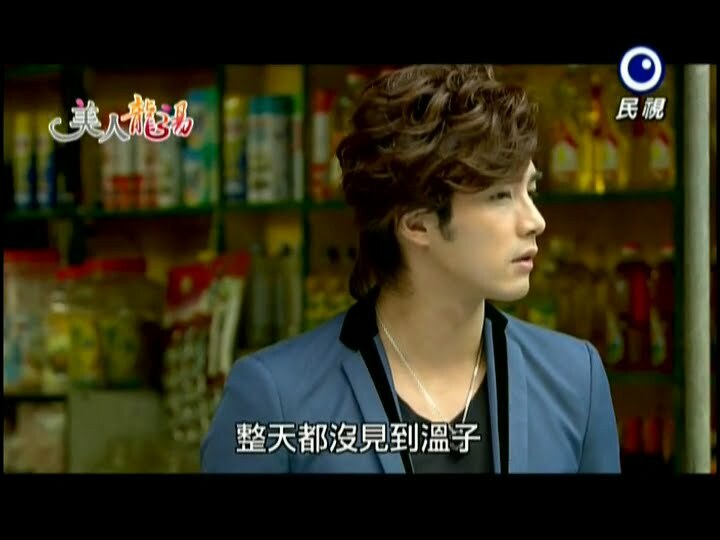 Meanwhile, the girl he’s worrying about is standing outside Xiao Xiang’s club. A drunk knocks into her and Ren Mei notices her phone is dead. Dummy. But then again, I guess Ren Mei really isn’t used to people worrying so much over her (although she has no idea just how concerned her grandmother has ben over the years). Tai tries calling and of course can’t get through. He leaves the house and heads out into town as Ren Mei finally gets back to the Long household. Boy, will she get an earful from Tai when he gets back home from waiting at the bus stop. Tai gets back home, but doesn’t go in. He just keeps pacing back and forth in front of the door anxiously awaiting Ren Mei, not knowing that she has already returned safe and sound. The next morning Ah Pan is startled to find Tai sleeping outside the door. Did he sleep out there all night? Tai lies and says that he woke up early and exercised, but fell asleep. Ah Pan praises him for taking care of his health after recovering from his illness. Tai then says that Ren Mei didn’t come home last night. Is that right? Ah Pan then tells him that Ren Mei was inside helping with breakfast. This shocks Tai who didn’t’ know that she had come home. At breakfast, the annoyed Tai keeps staring angrily at Ren Mei. He finally beaks down and demands to know what time she came in last night. Ah Pan then explains that it looks like Ren Mei came home very late. Wenzi tells Tai that its early and there is no need to be so fierce over such a matter. Lao Tu quickly agrees, but does tell Ren Mei to call next time when she is going to be late. Of course, Tai won’t let the matter go and angrily demands to know if she had fun worrying them. This shocks everyone at the table. Ren Mei apologizes and says she had something important to do. Tai then demands to know what that was, but Ren Mei won’t say. Lao Tu and Ah Pan try to diffuse the situation, but Wenzi and Long don’t look too happy. After breakfast, Wenzi seeks out Ah Pan and wonders why the hot spring owner would be so fierce over a staff member being out late. Ah Pan then reveals Ren Mei is not staff, but rather the daughter of their sworn enemy—the Zhao Hot Spring Club. Ah Pan can’t really explain the situation well and can only say that due to circumstances, Ren Mei will be working for the Long family for a year. Wenzi then recalls Ren Hu and wonders if the two are related. Meanwhile, Ren Mei goes to head out again and Tai spies on her. LOL, Tai is turning into a stalker! First he followed Ren Mei to her meeting with Aunt Kate and now he’s following her again. When Ren Mei boards the bus, Tai quickly takes a taxi to chase after her. He follows her to her destination and wonders why she would go to such a seedy place. The two goons from earlier tell her to go away, but she pleads with them to let her see Xiao Xiang. When the push her away, Tai comes to her rescue. Ren Mei asks what he’s doing there and Tai turns the question back on her. Ren Mei only tells him to mind his own business. Tai replies that place is not a place where Ren Mei should be. He goes to take her back, but Ren Mei keeps refusing. He then asks if she needs a slap to wake her up. 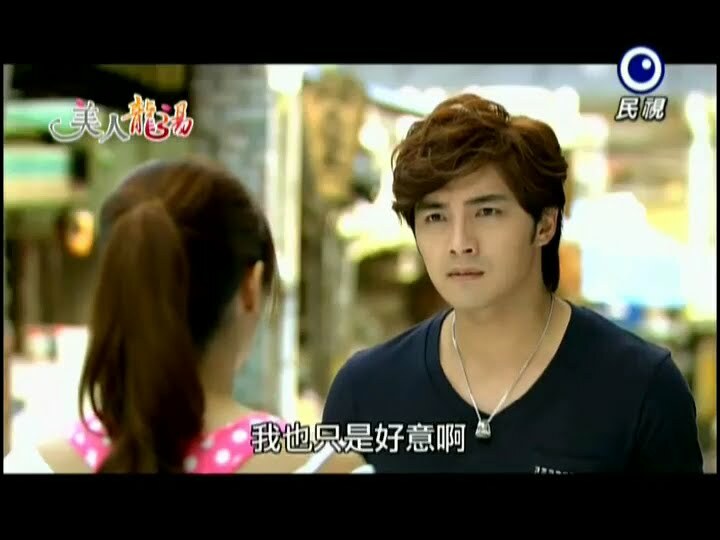 Ren Mei tells him again to mind his own business as she really needs to see Xiao Xiang. Tai asks who she is. Out comes Xiao Xiang to bid a customer farewell. Xiao Xiang is not happy to see Ren Mei again. Ren Mei grabs her arm and asks if XIao Xiang remembers a little girl that she gave a hot spring egg to. This catches Xiao Xiang’s attention. We flash back to see a kinder Xiao Xiang giving a crying Ren Mei an egg to cheer her up. Xiao Xiang says she remembers and tells Ren Mei to come by for a drink when she’s older. 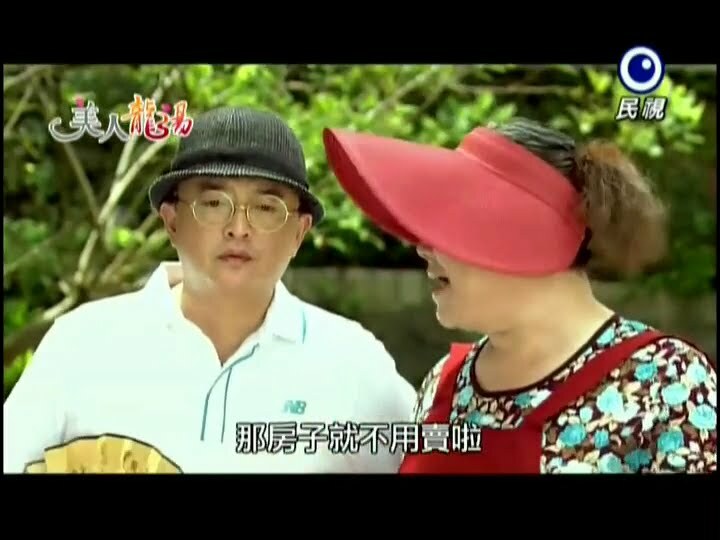 Ren Mei pushes a piece of paper into Xiao Xiang’s hand and says that she has an urgent matter to discuss about Xiao Xiang’s mother’s snack shop. The goons then drag her away and Tai takes her arm. She shakes it off and yells back for Xiao Xiang to remember to call. It starts pouring and Tai demands to know if Ren Mei knew how dangerous that place is. Ren Mei puts her hands over her ears and goes to stand out in the rain. Tai grabs her and takes her back under the shelter. Ren Mei jerks her arm back and tells him to let go. She really doesn’t understand—doesn’t he hate her? Tai says that he does hate her. Ren Mei says that since he hates her then he should stop pretending to be nice which makes her misunderstand. Tai asks her what the misunderstanding is, but Ren Mei won’t reply. She then tells him to leave her alone and go away. 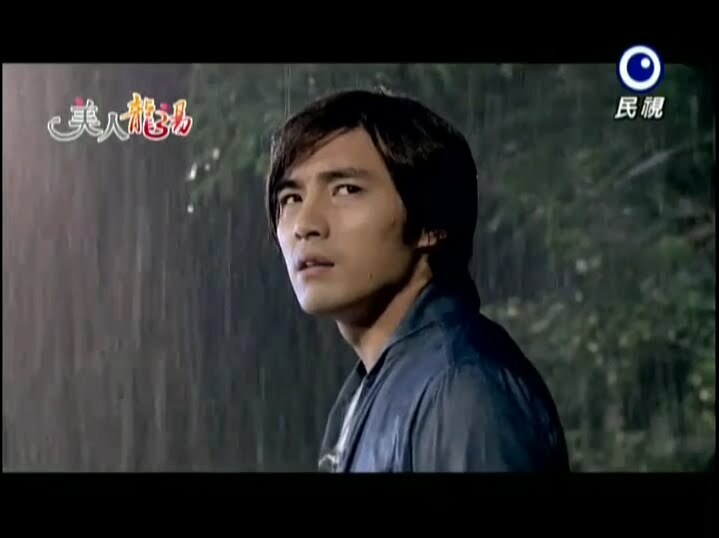 Tai angrily follows suit and this time he goes to stand out in the rain. Ren Mei demands to know what he’s doing and Tai yells back and asks if that’s far enough away. Ren Mei goes out into the rain and yells at him to stop acting like a child. She’s calling him childish? Tai lays out all of Ren Mei’s bad habits and asks whose more childish. Ren Mei turns her back on him and Tai demands to know why she isn’t looking at him. He turns her around and tells her to answer him. After staring at each other for a moment, Tai takes her and kisses her. The moment is ruined though when Ren Mei faints. Tai immediately picks her up and takes her back under the shelter. At the Long house, Tai is taking care of the ill Ren Mei. In her sleep, Ren Mei keeps apologizing to her parents saying it was all her fault. She begs them not to leave her alone. Her hands shoots up and the worried Tai takes it. Ren Mei says that everyone hates her—even her brother. Tai gently wipes away her tears and calls her a fool—who said that no one likes her. He then recalls Ren Mei’s words the other night about him hating her. He goes to say something, but in comes Ah Pan with warm water. Tai asks if she will be okay, but Ah Pan says that she will be fine since she fed her medicine earlier. Ah Pan then wonders what Ren Mei has been doing out so late the past two nights. Tai uses this opportunity to ask about Xiao Xiang, but before Ah Pan can tell him who the other girl is, Ren Mei’s phone rings. Tai answers is and it is Xiao Xiang asking for help! 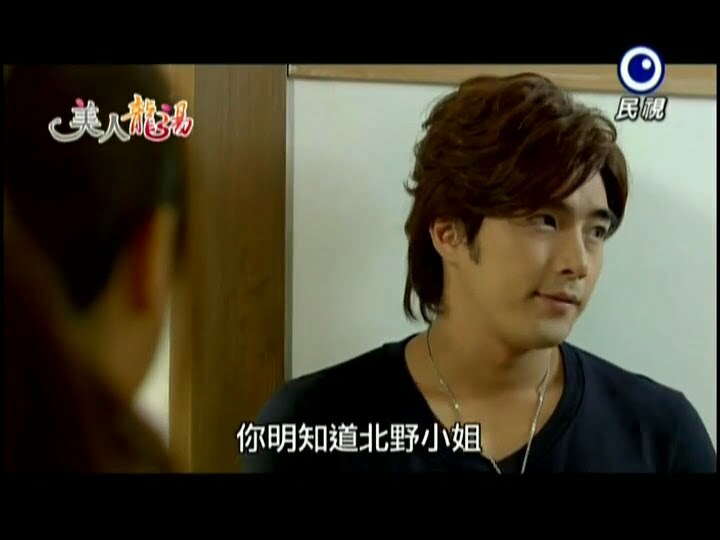 Tai rushes to the club where Xiao Xiang works and he asks what the problem is. 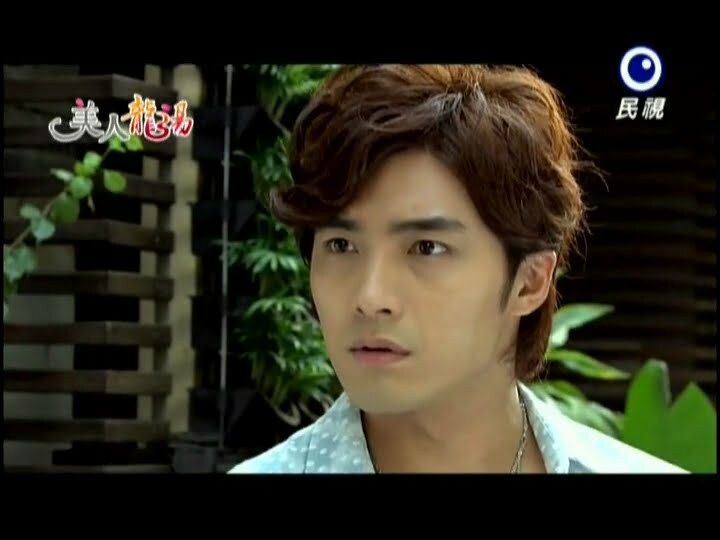 The woman outside asks if Tai can settle Xiao Xiang’s matter. Enter Xiao Xiang with a some unsavory men. She happily and nervously waves at Tai. She then says that Ren Mei offered to help and she currently has no money. Enter Ah Lun. Of course it would have something to do with him and his friends. Ren Hu is in his car and tells his driver to stop outside the club where Tian He is. He rolls down his window to overhear Tian He’s conversation. Xiao Xiang asks how much money he has and Tai replies that he doesn’t have a single cent on him, but Ren Mei said… Tai cuts Xiao Xiang off. Did the older girl ever stop to consider that if Ren Mei came she would be in danger? How could Xiao Xiang be so selfish? Xiao Xiang says Tai will be the death of her and she is dragged away. 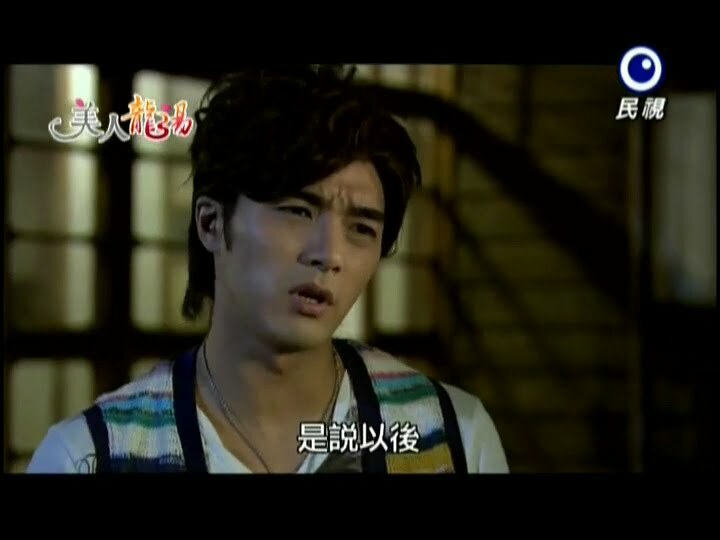 Tai stops the men and says that if they hurt Xiao Xiang then the will never get their money back. The men then attack Tai who fights back well shocking Ren Hu. Didn’t Ah Lun and Ah Xiang say that Tai was just a rookie? The fat guy attacks Tai with a knife who grabs the blade with his bare hand, shocking the goon and Ren Hu. The fatty then notices the name on Tai’s belt—he knows Kenji? The next thing we know the men are bowing to Tai. Apparently before Kenji left to go to Japan, he saved the goon’s life. Thus they sincerely apologize to Tai who then asks the gangsters to give him face. This convinces Ren Hu that this Long Tian He is not the one that he knows. Inside Xiao Xiang is packing and complaining about loan sharks. She gets up to go and Tai comes in. She thanks him for his help, but he won’t let her go. What does he want? He asks if she needs to live like that. Xiao Xiang says she doesn’t need to sit and listen to his lectures. Tai then says he already knows everything thanks to Ah Pan. Xiao Xiang was the rebellious daughter of a temperamental snack shop owner. After having a falling out with her mother, she left home at 18 and never went back—even when her mother died. How could she do that when she knows how much her mother loves her? Xiao Xiang says its too late since her mom is dead. Tai says it isn’t since Xiao Xiang’s mother is very much alive in her heart. He surprises her by saying that her mom left her the shop. Xiao Xiang talks about the past and Tai says that it is she who was unfillial and he instructs her to go back and fulfill her mother’s wish. 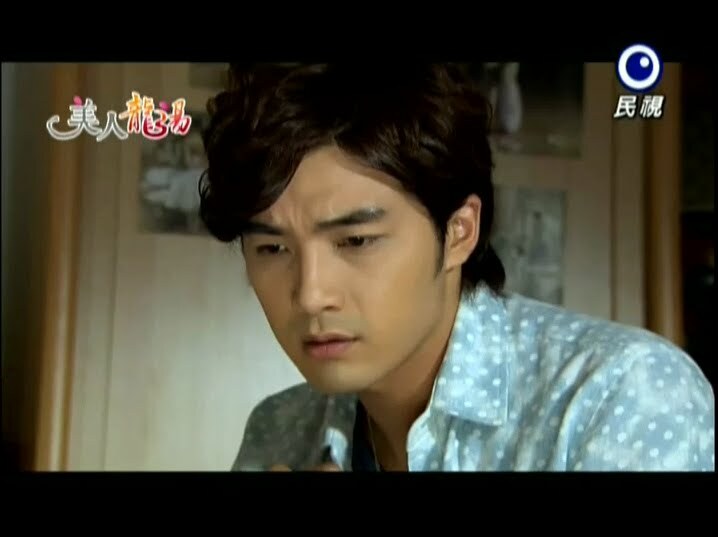 Ren Hu is on the phone and is displeased to learn that Dr. Jin disappeared. This angers Ren Hu. He doesn’t care how big Japan is they need to find the person Dr. Jin is with. Ren Hu throws down his phone and says its disgusting that this Tian He is making him run ins circles. Ren Mei finally wakes up and wonders what happened the other night. She looks at the water and rag. The only thing she can remember was that it was raining and she was drenched. She then recalls Tai’s kiss and touches her lips and that is where the episode ends and boy the previews for episode 8 look annoying. Why does Ren Mei not understand Tai’s feelings? Sigh. This episode wasn’t bad, but I have to say the nightmare scene was so fake. Although, those scenes can be difficult to do (where a sick person sleep talks), but I have seen much better. The actress playing Ren Mei is not horrible per se, but just didn’t have the emotion to carry off that scene at all to make it more convincing. I’m also getting frustrated with the plot of our leads not being able to divulge their real feelings to one another, but that’s fairly typical.